Is Interlinking of Rivers a Violation of International Environmental Law? The holy sight of Ganga river gives knowledge, splendour, name, fame etc. The gravest of sins like Bramhatya (killing of Brahmin) and Gauhatya ( killing of a cow) get absolved by the mere touch of Ganga holy water, reads the above mentioned shloka. India can be categorised as the only country where river is more than a river, more than water, more than a source of life, more than any role that a river plays in anyone’s life. The holy river Ganga is said to have Lord Shiva’s spirits in its core, is devotionally worshipped by the Indians. There is a famous saying that “all the religions had their growth between Ganga and the Euphrates.” In the holy place haridwar, Ganga after escaping from the giant Himalayas partakes of the ancient rituals, receives the blessings and begins her work in earnest, with a renewed devotion, as she enters the plain, from where she makes her way a thousand miles or more to sea. It would be superficial for anyone to explain the importance of rivers in everyone’s lives for hardly a day would be counted living without a river in the habitant. From abundance of water to its scarcity, human kind have witnessed the terrific fate of the rivers with the equal effects touching their lives severely too. Gone are those days, when rivers used to carry infinite volume of water sufficing each one’s need peacefully. From the great rivers to the dams and canals, technology and human kind have given her so called new lives while letting her die a new death every day. Thousands of years ago, when human settlements were on the sharp rise around the rivers, it was not that difficult to predict the harsh and barbaric fate coming in the modern era as with the development and pervasion of modernism, human needs out of rivers and its water were spawning up more than just a source of survival. And with the growing ages and needs of human being and the river water being scarce in nature, there was surely a need to look into the matter for the sake of survival of continued existence of human civilisation which is no doubt at stake in nowadays. Brooding over the same need as mentioned previously, government came up with the idea whose origin could be traced back to the 20th century popularly and controversially known as INTERLINKINING OF RIVERS. It would be harsh to blame the modern era for the emerging concept of interlinking of rivers as it had its own history. During the British colonial rule, Arthur Cotton. A British general and irrigation engineer in around 19th century sowed the seeds of the plan to interlink the major Indian rivers. though Arthur had this plan in mind for their own benefit to expedite the import and export of goods from its colony in south Asia to their country but at the same time to address water shortages and droughts in south-eastern India Andhra Pradesh and Odisha which was further watered by Indian government in the year 1982 in post-independence period. Who all have wondered that this epic line from the poem written by Samuel Taylor Coleridge would lucidly explain the conditions of rivers in India. As per the governmental report published in recent days, it clearly unveiled the pathetic condition that our Indian rivers have turned into. As per the report, “half of India’s rivers are polluted now totally worthless now. Number of rivers defined as polluted in India has risen from 121 to 275 in the last five years with increased level of sewage- a primary cause- an assessment by the central pollution control board. Further it reported that in view of population increase demand for freshwater for all will be unmanageable. The Ganges due to its mythological history and prominence is losing its piousness day by day. The another major river Yamuna, being the sub-basin of the ganga river system, is a large basin covering seven Indian states. 94% of the water goes for irrigation, 4 % of it gets used for domestic water supply and the rest for industrial and abstractive uses. This river faces dry as well as flood conditions during the period of the same year. Due to high population density of the catchment, the river remains almost dry during January to June in its many parts whereas in monsoon season, the flow goes beyond its conveyance capacity. 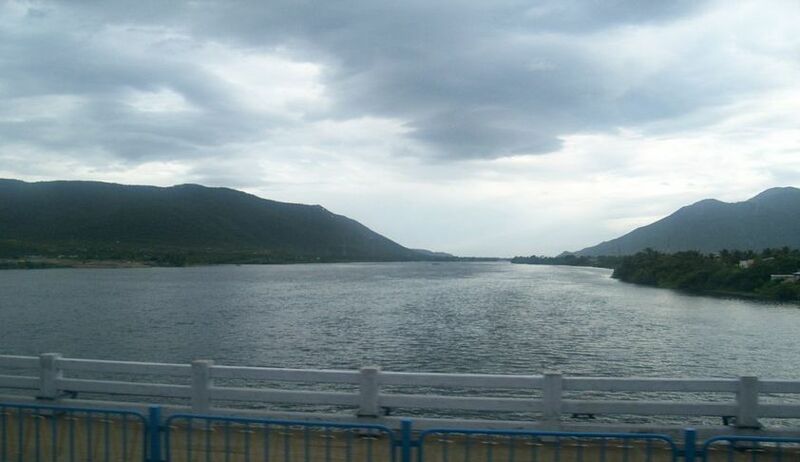 Same situation follows the steps of peninsular river also where instead of the fact of water abundance as in the case of Himalayan rivers always howls for the dearth of water which is the major dispute between two large state with their equal large needs out of the water Tamil Nadu and Karnataka popularly known as Kaveri water dispute. WHAT DOES INTERLINKING OF RIVERS MEAN AND WHY IT IS IMPORTANT FOR INDIA? Interlinking of major rivers in India aimed at modifying the acute spatial inequity in the water availability in India has its origin way back in the ideas of K.L.Rao and captain Dastur . During the mid-1960’s, Dr KL Rao, a well-respected technocrat, presented a crude proposal for a Ganga-Cauvery Link from a point below Patna. A few years later, Captain Dastur, a pilot speculated aloud about a lateral Himalayan canal from the Ravi to the Brahmaputra along a constant 400-metre contour interconnected with a Garland Canal girdling peninsular India. But ideas like the Garland canal and the Ganga-Cauvery Link were routinely dismissed as too grandiose for a resource-strapped nation. The Indian psyche was however never fully disabused of the idea; and as Prime Minister, Mrs. Indira Gandhi constituted the National Water Development Agency (NWDA) to start detailed planning of a mega-project which no one imagined would ever leave the drawing board. For a people revelling in discord, Indians have become increasingly one when it comes to sharing the dread of their water-scarce future. Also visible with this increasing concern is a growing sense of popular disenchantment with the inadequacy and apathy of governments in dealing with recurrent cycles of flood and drought occurring all at once in different parts of the country. So when the President of India, in a speech addressed to the nation on the eve of Independence Day 2003, declared- “The first mission (of my government is) on the Networking of Rivers … This will eliminate the periodical problem of droughts and floods ... and provide both water and power security”, he was answering this popular concern. But on the same year, the supreme court of India, responding to a PIL asked for the planning of the project to be completed by 2006, and the project itself by 2016, as the respective laid plan lost its track in the mid years, while the second NDA government, under Prime Minister Narendra Modi, seems to want to get the project get going and completed as soon as possible. The big idea is to connect 37 Himalayan rivers where there is surplus of water which gets wasted to a large extent and peninsular rivers where water is one of the major issue of contention among the states due to its shortage. So by this interlinking, surplus rivers will be dammed, and the flow will be diverted to the rivers who need it desperately and who can ubiquitously and judiciously utilise it. Altogether, 30 canals and 3000 small and large reservoirs will be constructed with potential to generate 34 gigawatt of hydroelectric power benefitting thousands of villages at the same time. Whether or not inter linking is harming Bangladesh in many ways. Bangladesh is an agrarian economy where land and water resources play a significant role in the socio-economic life of the nation. The implementation of the interlinking project has deprived this economy of its most important resource that is, water. Therefore, due to this project the entire territory of Bangladesh will fall victim to its consequences and ultimately, destroyed completely. (i) This project has caused severe harm in the territory of Bangladesh. The Brahmaputra Ganga Basin is home to more than one-third of the population of Bangladesh. A major portion of this population is dependent on the Ganges for agriculture, domestic and municipal use of water, fisheries and industries, forestry and navigation. Interlinking of rivers has displaced tribal and poor people on a large scale due to the flood and tidal storms caused by it. The Centre for Development and Environment Policy said that before that this project would result in the loss of the world’s richest fisheries in South-Asia and cause serious extinction of the Sundarbans. According to the World Health Organisation, the groundwater in Bangladesh has declined progressively due to extensive extraction of water for irrigation, domestic water supply and inadequate recharge of aquifers. According to the No – Harm Rule, watercourse states shall in utilizing an international watercourse in their territories take all appropriate measures to prevent the causing of significant harm to another watercourse states. Whether significant harm nevertheless is caused to another watercourse state, the state whose use causes such harm take all appropriate measures to eliminate or mitigate such harm in consultation with the affected state. The International Law Commission in its sixtieth session in 2008 mentioned in its Article 4(d) that aquifer states shall utilize transboundary aquifer or aquifer system at a level that would prevent continuance of its effective functioning. Precautionary principle applies that when an activity raises threats of harm to the environment or human health, precautionary measures should be taken even if some cause and effect relationships are not fully established scientifically. Interlinking of rivers was recommended by none. Even the National Commisssion on Integrated Water Resource Development (NCIWRD) suggested cautions in considering it.The principle applies to human health and the environment. The ethical assumption behind the precautionary principle is that humans are responsible to protect, preserve, and restore the global ecosystems on which all life, including our own, depends. This principle has been a part of instruments and documents like the Vienna Convention on Ozone Layer, Agenda 21, Framework Convention on Climate Change among others. Principle 6 of the Rio Declaration states that the special situation and needs of developing countries, particularly, the least developed and those most environmentally vulnerable, shall be given special priority. The geography of Bangladesh makes it vulnerable to natural disasters in case any modifications are done in the natural resources. In Karnataka industrial area v. Sri C. Kenchappa and others 2006, Indian supreme court has observed precautionary principal as the essential feature of “sustainable development”. In Rajendra singh and others v. Government of Nct of Delhi and others and Jaipur golden gas victims v. Union of India and others precautionary principle was envisaged as the essential features of the sustainable development. An “international treaty” involves a pact between countries under international law to which they agree on their own will. It should be binding upon them to act according to the provisions of such treaties. The Ganges water Treaty of 1996 stated that both the states are desirous of sharing by mutual agreement the waters of international rivers flowing through the two countries and of making the optimum utilisation of water resources of their regions in the field of flood management, irrigation, river basin development and generation of hydro-power for the mutual benefit of the people of two countries. It was recognised that there was a need to make an arrangement for the sharing of water of the Ganga at Farakkha barage in a spirit of mutual accommodation and a need for a solution to a long term problem of augmenting the flow of Ganga are in the need of mutual interest of the people of the two countries. However, with the implementation of this interlinking of rivers project, this treaty has been violated. According to article IX of the Ganges waterTreaty, it is obligatory for India to share the resources in a fair and equitable manner. But according to Bangladesh, India has diverted waters according to its own will, depriving Bangladesh from just share during the dry season. By commissioning the farakkha Barrage itself, India violated the international law intended to deal with water sharing disputes. The diversion of waters by the farakkha Barrage causes enormous losses in bangladesh for over two decades. It is the unalienable right of Bangladesh to have equitable share of the common rivers. Bangladesh has a right to equitable share under international law. International Law Association in 1966 laid down that every riparian state is entitled to a reasonable and equitable share in the beneficial uses of waters of an international drainage basin. The UN International Law Commission also emphasize that states shall utilize an international river in an equitable and reasonable manner and the riparian shall exercise due diligence to utilize the waters of an international river in such a way as not to cause significant harm to other co-riparian states. Interlinking of river should never be stopped. India itself is an agrarian economy although the structure of economy is gradually changing. Nearly 70% of the population lives in the rural area whose majority depends on agriculture- related economic activities for livelihood. Projections show that it would take another five decades before the population stabilizes. (Visaria and Visaria 1995) moreover, water demand in non-agricultural sector including that for the environment is increasing and many regions of the country are facing severe water stress. Also, the project is estimated to cost INR 5,60,000 crore which is hefty amount for a developing nation like India. The loan India has taken will lead the country into grave economic crisis as the cost of the projects costs more than third of Indian GDP. It is difficult to quantify the economic benefits such as the mitigation of drought and floods, the increased income because of fishing and amusement parks at the dams and reservoirs sites. The most important question raised by the critics is its justification. The reason behind this project is accentuating water scarcity in western and peninsular India. The low per capita water availability, high spatial and temporal variability of rainfall and associated drought and flood conditions are the main reason. By 2050, the per capita water availability in India is expected to fall from 1820 m3 to 1140 m3 far less than an actual water scarcity. Spatial inequality is extreme too. Ganga-Brahmaputra-Meghna basin which cover one third of the total land area, are home to 44% of India’s population, but drain more than 60% of the country’s water resources. in contrast, the Krishna, Cauvery and Pennar river and Kanyakumari cover 16% of the land area, have 17% of the population, but drain only 6% of India’s water. In India’s 19 major river basin, only 55% of the total water resources are utilizable. Thanks to these unequal endowments, India’s river basins are at different degree of closure. therefore, their needs can be addressed by augmenting the natural flows with surplus waters from Himalayan rivers and dispatching them to drought-prone areas which is a win-win proposition. The reservoir storages and the canal diversions in ILR are expected to reduce flood damages by 35%( Sinha, S.K. et. Al 2005) and ease drought prone areas in semi-arid areas. Keeping the principle of sustainable development in mind which is enshrined under the Rio declaration and confirmed by Vienna Declaration, all the citizens of any country has a right to develop, now agriculture based India’s primary source of income depending on it, irrigational facilities can’t be ignored. It has been approved by the environmental appraisal committee. So far, based on the concurrence of the concerned states, Detailed Project Reports for Ken-Betwa link (phase I-II), daman-ganga- pinjal links of NPP have been completed by NWDA. At the time of the preparation of DPR of the river linking project, detailed Environmental Impact Assessment as per terms of reference approved by the Environmental Appraisal Committee of Ministry of Environment and Forests and Climate Change are carried out which includes impacts on land environment, water resources and its quality, terrestrial ecology, impact on air quality, impacts on local services, aquatic ecology etc. Borendra Project in the Rajshahi district as the water pulled out from underground may have caused the discrepancy. The evidence is not conclusive and the technical experts are jointly investigating the matter. One of the major problem in water sharing was uneven flow of the water in basin The precipitation over the Ganges basin is mainly due to the southwest monsoon. The monsoon regime is characterized by the uncertain and unevenly distribution of rainfall. This leads to the heavy seasonal fluctuation in the flow of the Ganges. The floods during the monsoon and scarcity during the dry season are the extremes flows. The total Annual Water Availability in Bangladesh is about 1297 BCM including Ground water out of which about 80% of flows occur during monsoon (Jun-Oct). This more or less explains why Bangladesh renders water stressed during the lean months, this being a natural cycle, cannot be blamed on India. Now talking about the surface water inflows annually, the annual cross border surface water inflow is about 1124 BCM of which more than 80% of cross border flows occur during monsoon (Jun-Oct), yet again it explains the reason behind low flows during the lean period. water availability during dry season (Jan-Apr) is 88 BCM compared to demand of 147 BCM which makes the country water stressed. Now if the flow itself is keeping low, India cannot be blamed for violating any treaties. Hence any major harnessing of the Ganges water during the dry season upsets its natural equilibrium and brings about whole chain of important and interrelated repercussions. It is perhaps this dramatic seasonal variation in the flow that more than any other fact has provided the cause of the water dispute between India and Bangladesh. India has sometimes agreed to withdraw as low as 20,000 cusec and release the rest to Bangladesh during the lean month of April. Now keeping the Vienna convention in mind, particularly the principle 61 which says that if the performance of a treaty becomes impossible as in case of the ganga water sharing treaty, 1996 during lean periods, the treaty will be void without putting any of the parties liable or responsible. To Conclude, we would like to highlight that interlinking of rivers is a bane as well as a boon, but isn’t every invention or discovery the same. The river interlinking project is ray of hope for the millions of Indians living in the peninsular part of the country to get fresh water and live a life without misery. It is a chance for those farmers, who commit suicide because of drought in water scarce regions of the country. It is also a helping hand to the people of north, where the rivers are denser and more perennial which causes floods every year, shaking the country which houses more than 1.2 billion people. It also costs the developing economy of the country over a million dollars of loss every year. If the government, keeping in mind the directive principles of state policy enshrined in The Constitution of India, wants to establish a welfare state by giving every citizen the basic right to have fresh and clean water, nobody in right mind would try to stop them from doing so. But, is this all so simple? No, It isn’t. According to some of the famous and acclaimed environmentalists, the rivers change their course in every few years, now if this programme is implemented than it is an invitation to an environmental catastrophe. Looking at the Bangladesh’s prospective, they argue that the interlinking of river project can result in tremendous damage in the territory of Bangladesh. It will also result in the violation of the Ganga Water Sharing Treaty 1996 which stated that there will be fair and equitable distribution of resources. It is a unilateral action on behalf of India to divert the waters to suit its own needs. They also say that India is misusing their powers for being an upper riparian by creating a drought like situation in the dry months of the year and floods in the monsoon. Now let’s look at the Indian perspective, they argue that their actions are consistent. Adhering to the same reason Hon’ble Supreme court of India has given a green signal to the implementation of the project. Moving on, the Raison d’etre or the most important reason for implementation of this project is the accentuating water scarcity in western and peninsular India. Taking away some surplus flood waters from Himalayan rivers and dispatching them to drought-prone areas, it is argued, can only be a win-win proposition. Annual floods, on the average, affect more than 7 million ha, 3 million ha cropped area and 34 million people, mostly in the eastern parts, inflicting annual damage of well over US$ 220 million (Rs 1000 crores) (GOI 1998), at the same time, the rain deficient western and peninsular India are highly prone to drought can use this water. Following the precautionary principle, the interlinking of rivers project has been approved by the environmental appraisal committee. The projects in some cases stabilize and consolidate the existing irrigation arrangement which falls short of the actual requirement. All environmental impacts and issues arising out of the EIA studies are duly addressed in Environmental Management Plan which forms a part of DPR. All due safeguards in this regard are planned and envisaged for implementation accordingly. Hence, there is not even farthest possibility that the interlinking of rivers project can be stopped. The project is said to discharge only 10% of the Himalayan river’s flood water which will routed through canals to the rain deficient southern India, hence it wouldn’t cause the problem of basic flow. Also there is provision that only extra flood water will be routed to the peninsular rivers not all the bulk, so the balance flow maintains and there will not be any problems in the equitable sharing cross borders. Secondly, the Project which is alleged to cause environmental harm is actually combatting it by eliminating flood in northern plains and drought in peninsular region. International and transboundary water resources, a framework for shared optimal utilisation by Attila Tanzi,legal board of 1992 UNECE Convention. Nidhi Upadhyay and Ashish Bhardwaj are students of BA.LLB (hons) Banaras Hindu University.